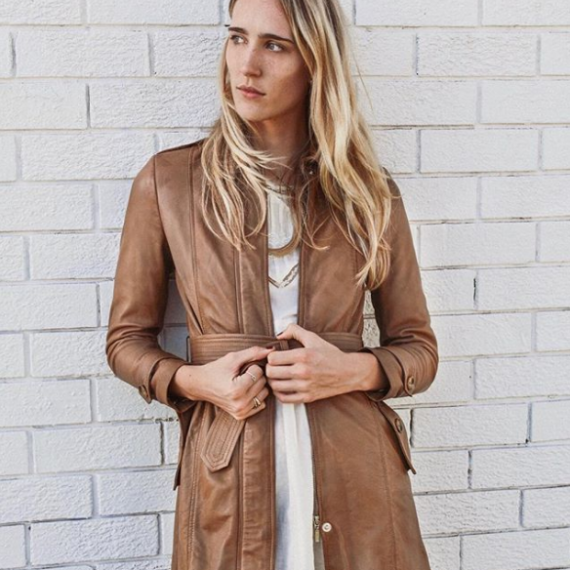 Made from beautifully soft leather the Blair Trench features statement buttons and a classic trench shape giving the essence of timeless style to any outfit. Fitted with a belt that pulls in the waist, Blair adds a feminine and flattering touch to the elegant trench style. The perfect jacket to take you from day to night and season to season, Blair is a must-have for every stylish woman’s wardrobe!